Tiger and director Sabbir Khan came together for the second time to complete this film. Earlier, they had teamed up for Heropanti, which was a successful venture for them. Their latest release has been hyped and has garnered enough pre-release buzz which has started reflecting in its opening box office collections. On an average, Baaghi has registered an opening occupancy of about 50% across the nation whether it is a single screen or multiplexes. If the movie gets the required positive word of mouth, it will become another superhit for Tiger and Sabbir. In its lifetime, it is expected to pass the milestone of Rs. 100 crores. The domestic collections from the first week at the Indian box office is projected to cross Rs. 18 crores. Undoubtedly, it has got the advantage as no major films are going to release until next week. Thus, it will enjoy the single release advantage. Jackie’s son has established his own image in the industry. Critics have slammed the storyline of the film but have praised the performances of the actors. The action is the highlight of the flick. It is going to be a real pleasure for the fans seeing him beating up the baddies. He has taken special fighting training for this film. Shraddha already has been a part of the two 100 crores flicks. She has put an excellent show in the movie. Her on-screen chemistry with Tiger is being liked by the audiences. It is expected that it will satisfy the viewers in all manners. Sajid has tried to put required pace in both the halves so that audience will not feel boredom while watching. Julius Packiam’s background music adds to the beauty of the film. As per the latest news, Baaghi which was released in UAE/GCC territory a day earlier to Indian market has earned a good amount. On the opening day (Friday), the film collected Rs. USD 232,000 which is equal to Rs. 1.54 cr on Thursday from the overseas markets. Thus, it has surpassed the opening record of the Arjun Kapoor, Alia Bhatt starrer 2 States and ABCD2 directed by Remo D’Souza. 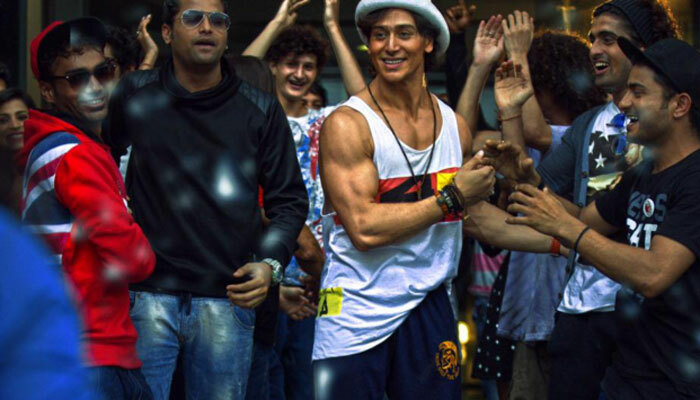 Speaking of the number, it has earned three times what Tiger’s first film Heropanti earned. Keeping the trend in mind, Baaghi is going to cross double digits as per the early estimates. Keep watching the space for the latest and updated collections’ figures. Stay tuned for latest Bollywood news and other Entertainment updates. No doubt this will be the movie to be in race for 100 cr club. Backwass film Baaghi Gandigi tiger shroff and shraddha kappor???????????????????????????????????????? movie bahut acha hai…me in ka fan hu…. I like this movie and all stunts and all fights are really so good and love story to good. Baghi is a super duper blockbuster hit movie. Its a totaly martial arts based technic movie.love the action scene&stunts was impressive;tiger did lots off hard work for these.aaal creadit goes to action director& tiger.nice movie go & watch one those who action lovers. Very nice movie I like it.